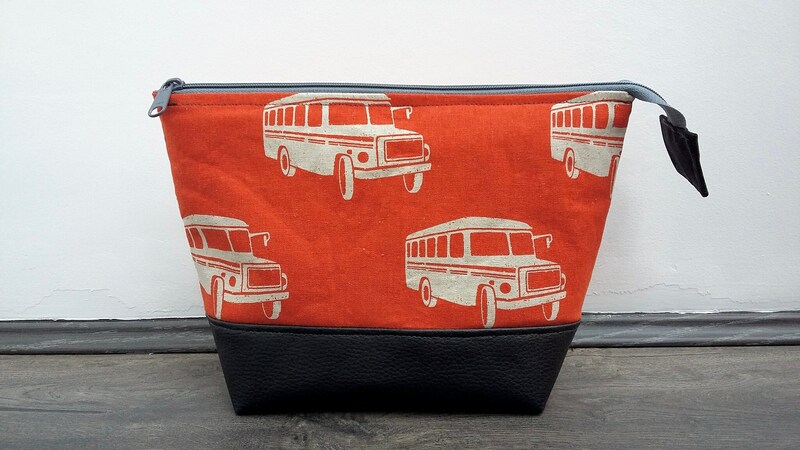 A large, snazzy toiletry bag for the menfolk in this funky red-orange American school bus print. 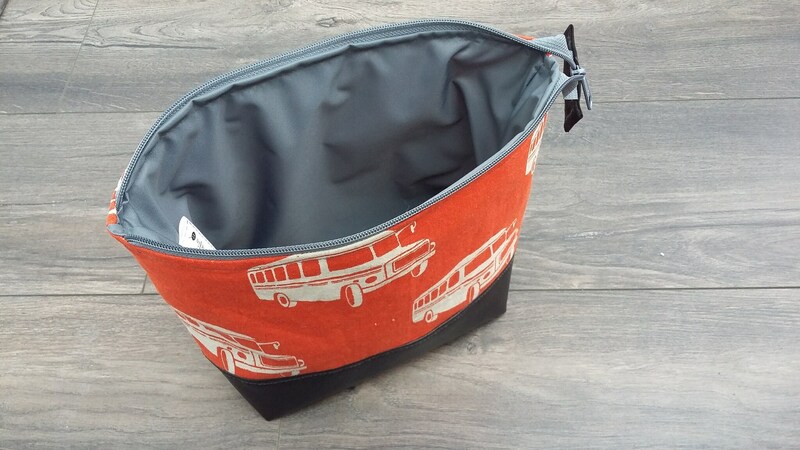 Measures approximately 11.5" (29cm) wide x 8" tall (20cm) x 3.5 deep (9cm), it's a generous sized bag for the avid traveller, perfect for storing full size toiletries or shaving kit. In Japanese linen blend teamed up with a soft faux leather boxy base and water resistant grey lining. With a sturdy YKK zip and padded with a layer of fleece for added structure. 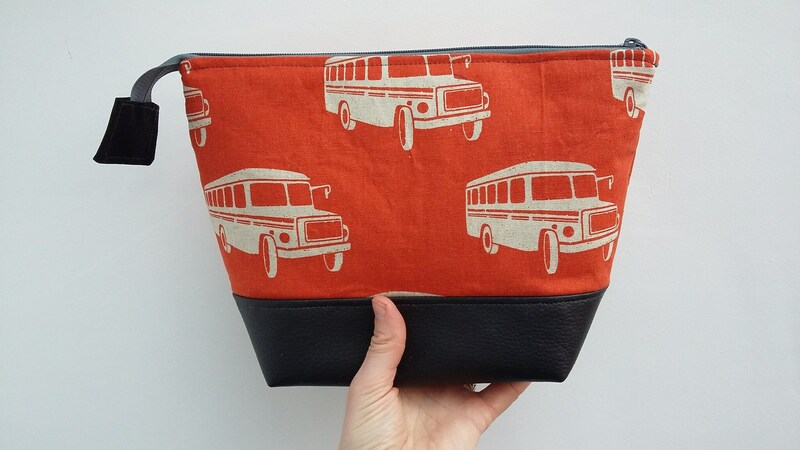 UK postage is with tracking (2nd class) and signature required on receipt or standard tracked and signed international shipping. This is a made-to-order item. Buying as a gift? 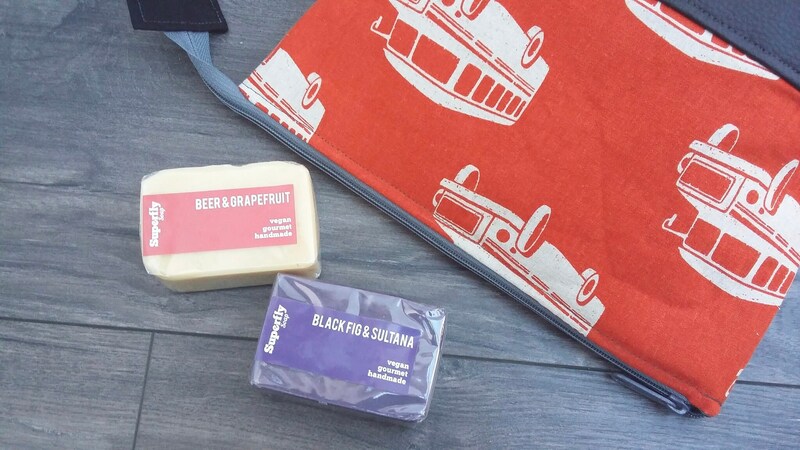 Why not make it extra special and add some luxury artisan handmade soaps from Superfly Soap? 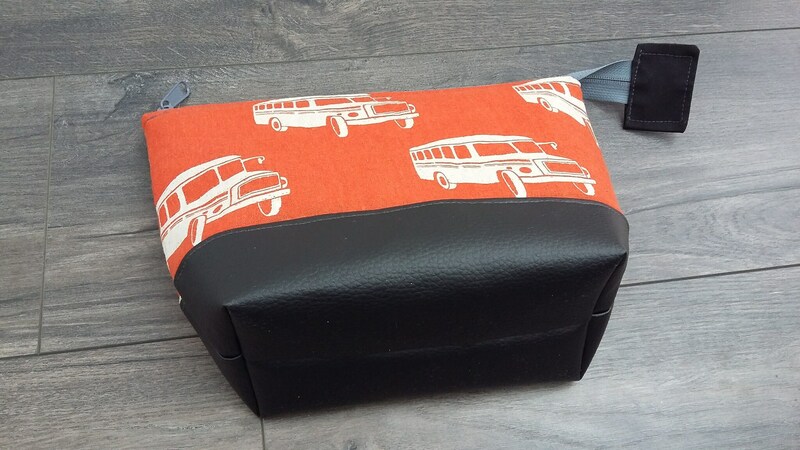 https://www.etsy.com/uk/shop/SuperflySoap (see pic). 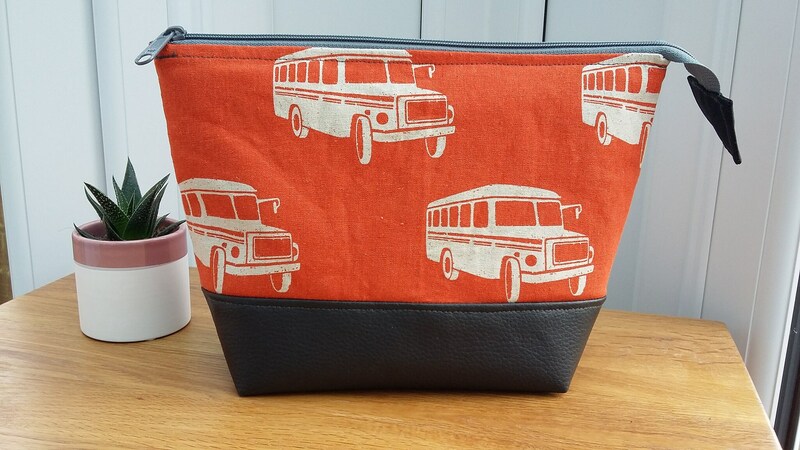 Thank you Sofia for this beautifully made soap bag, bought as a gift for my nephews 21st birthday. Quick delivery too. Would highly recommend.